Johannesburg - The South African logistics industry is in a recession, according to Value Group. Steven Gottschalk, the chief executive of the listed logistics and transport group, said volumes in the industry had declined to such an extent over the last year that the sector could be classified as being in a recession. Gottschalk confirmed this week that the group had embarked on “an extensive and detailed restructuring” exercise in its logistics and Freightpak break-bulk operations to, among other things, rightsize the various branch operations in line with the reduction in activity and volumes. He said the outcome of this restructuring would be a possible downscaling of the logistics and Freightpak operation to simultaneously reduce costs and improve profitability. But Gottschalk warned further restructuring may be required based on future prevailing market conditions. Gottschalk added that the effects of the recession in the logistics industry were evident in the group’s financial results for the year to February. “Trading conditions in the second half of the financial year proved to be very difficult and peak volumes associated with the Christmas season did not materialise, resulting in year-to-date volumes being substantially less than in the previous comparative period,” he said. The logistics and Freightpak operation falls into Value Group’s general distribution segment, which increased revenue by 1.6 percent to R1.68 billion in the year to February from R1.65bn in the previous year. However, Gottschalk attributed this increase largely to the inclusion of Core Logistix from March last year. This followed Value Group last year acquiring an 80 percent stake in Core Logistix for R12.7 million. Gottschalk said that excluding Core Logistix, revenue reduced due to a significant decline in volumes, particularly over the Christmas period and into this year. He said this decline in the Logistics and Freightpak operations, together with the associated increased costs, contributed to the segment’s operating profits reducing by 18.3 percent to R91.27m from R111.7m. Value Group this week reported a 16 percent decline in headline earnings a share to 35.4c in the year to February from 42.1c in the previous year. 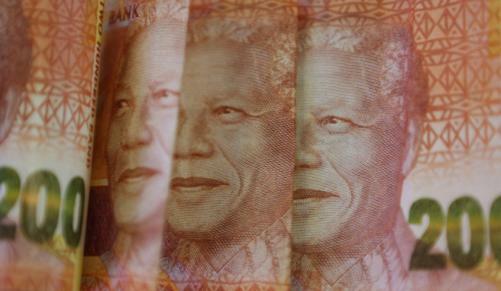 Revenue rose by 1 percent to R1.06bn from R1.04bn. However, Gottschalk said it was anticipated the restructuring and resizing of the Logistics and Freightpak operations would counter these adverse market factors and contribute positively in the future. Capital expenditure for the current financial year would also be materially reduced and facilitate a reduction in interest-bearing debt, he said. Shares in Value Group dropped 0.60 percent yesterday to close at R3.33.